If you love Jazz, Classical, Opera, Gospel or Musical Theatre, this is the ticket for you! General Admission $10, Students $5. All proceeds will benefit the Vocal & Instrumental Music and Technical Design and Production departments. 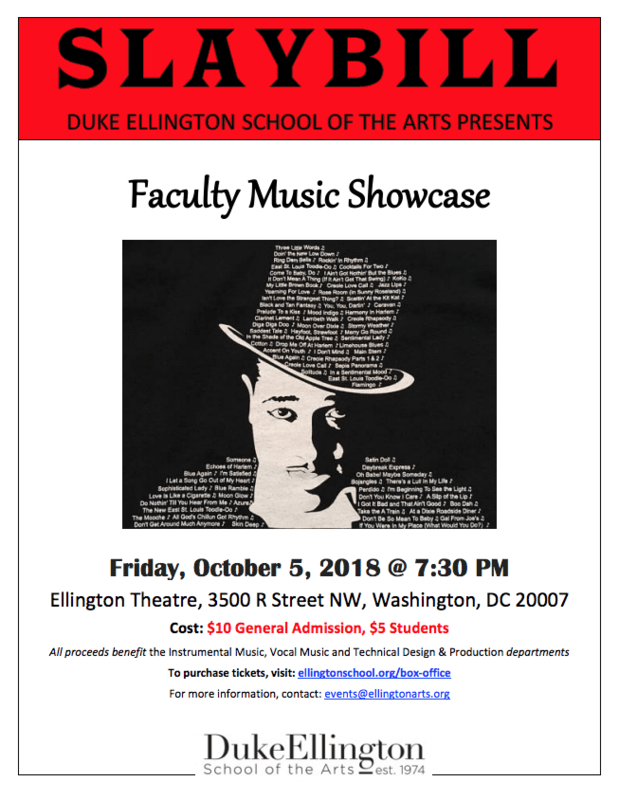 Come out and support this fundraising event as Ellington showcases its finest!